We love courtyard gardens because there’s more to them than meets the eye. For example, we’re often asked to improve courtyard garden biodiversity. But many clients also want us to prioritise easy maintenance. Furthermore, in many city gardens, we also have to be sensitive to existing architectural designs. Obviously, this can pose a challenge when designing contemporary courtyards for listed buildings. And this applies to both hard landscaping and soft landscaping elements. 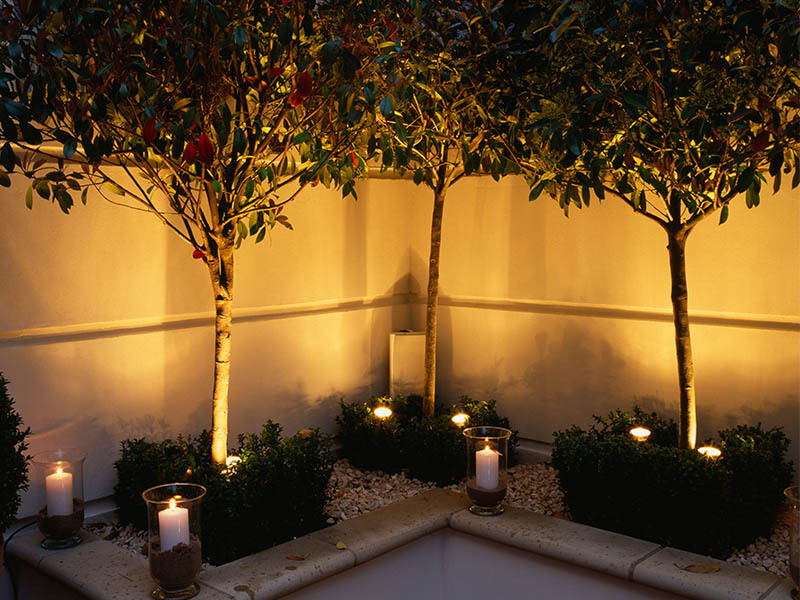 At Jonathan Mark, we’re specialists at London courtyard garden design. So that includes designs from scratch, courtyard renovation projects, and so on. Here are a few case studies to give a flavour of the way we work. Clients: Busy professional family with two teenagers—a son and a daughter. Client brief: A family-friendly, elegant garden with an historical, continental feel. Hence modern courtyards were suggested as a subtle tie-in with contemporary design sensibilities inside the home. Space: 25-30 m2 – mature plants and trees, timber decking area, dated feel. Design: First off, we favoured courtyard designs in-keeping with the clients’ home exterior. However, they also wanted something fresh and contemporary. So our solution was to combine authentic materials with sleek, modern styling. The result: Split-level Italian limestone hardscaping. We also included bespoke timber benches, an in-wall fireplace, and modern Italian planters. Meanwhile, a fireplace on the upper level served as a functional focal point. And it was one that gave an excellent view of the cypresses, olives, and perennial shrubs below. Case study: Transforming a back garden from modern classic lines to a Mediterranean courtyard design for a Victorian listed house in North London. Clients: A retired couple with an outdoor lifestyle. 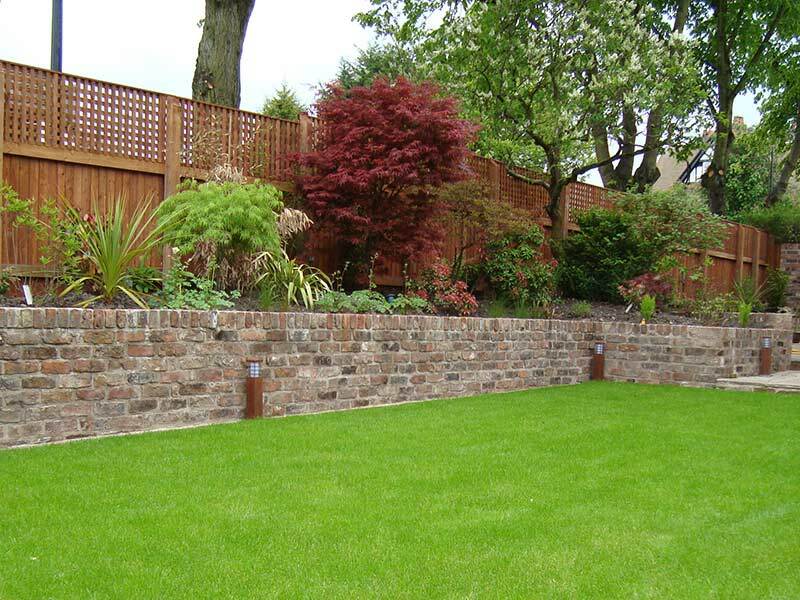 However, they also expressed a preference for minimal upkeep gardens. Client brief: Having seen their fair share of courtyard gardens in London, the clients knew exactly what they wanted. Specifically, they felt that small courtyard gardens could make the most of their existing outdoor buildings and furniture while serving as distinctive socialising spaces. Space: 30-37m2 – Outdoor furniture with sentimental value from their time spent in Essaouira, Morocco. Trees, shrubs, grass, and weeds. Design: We went for a classic Mediterranean courtyard with a fire pit, authentic tiling, and brickwork. Next up, an additional courtyard design with a more contemporary, open feel served as a nice contrast and an elegant dining space surrounded by existing trees. Case study: Restoration of authentic garden for a Georgian venue in Hertfordshire. Client: Landlord of a heritage venue for weddings and corporate events. Client brief: Uphold the classic English character of the listed building with authentic courtyard wraparound and another in the central quad. Space: More than 100m2 – old tiles, trees, shrubs, grass. Design: For this design, we looked at a range of similar buildings with courtyard gardens and listed their integral features. Therefore, topiary, smart paving, contemporary garden furniture, and focal point water features were not only authentic but desirable for wedding photos too. 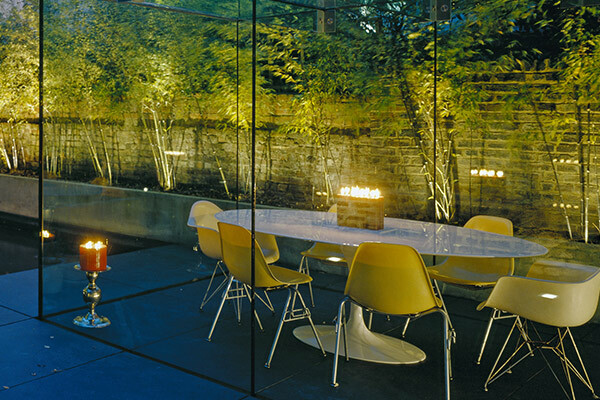 Jonathan Mark are specialists at designing London courtyard gardens with a sense of time and place. So for a free consultation, please don’t hesitate to get in touch today.